Mumbai: “Pleased to be a part of the Charity Gala Dinner organized by The Lord Raj Loomba CBE, Founder and Chairman Trustee, President Mrs. Cherie Blair QC CBE and the Trustees of the Loomba Foundation with Hon’ble Union Minister of Commerce, Industry & Civil Aviation, Suresh Prabhu Ji and Dr. Rajinder Singh Chadha,” said Dr. Sandeep Marwah Chancellor of AAFT University of Media And Arts while attending the event at Taj Lands End Hotel, Mumbai. It was in his mother’s memory that Loomba set up his charity, The Loomba Foundation, which works to raise awareness of the issue of widowhood and which raises funds to educate the children of poor widows in India and empower widows in other developing countries in south Asia and across Africa. The flagship of the charity’s awareness campaign is International Widows Day, which takes place annually on 23 June. 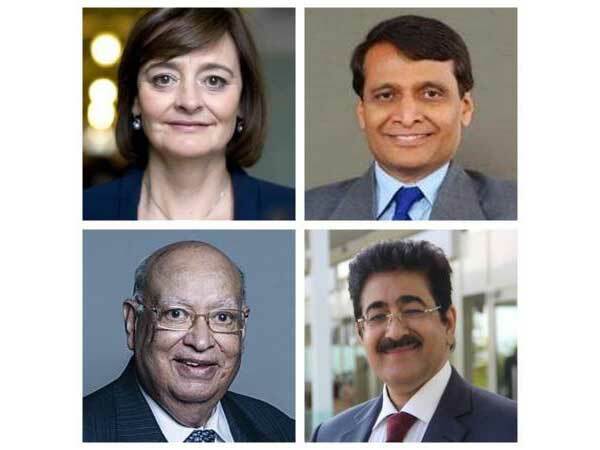 Sandeep Marwah briefed Cherie Blair about the different social activities of Marwah Studios and Asian Education Group and invited her to be the guest of honour at one of the programs.